Any Victoria’s Secret saleswoman worth her salt can deftly wield that Pepto pink measuring tape, but the bra-fitting experience at Nordstrom, where employees go through a multiweek certification process, is revelatory. Measurements are taken right under the bust, and a few cup sizes are tested to find the winning fit. The department store’s selection is unparalleled: Peruse sultry options from high-end companies like Wacoal and Chantelle (both of which go up to size 44H) as well as more demure offerings from Calvin Klein and Natori. Don’t be shy when your saleswoman asks whether she can step inside the dressing room with you—chances are she’s seen more cleavage than Hugh Hefner. Fedoras, floppies, snapbacks—L.A. is undeniably a hat-happy city, and Gladys Tamez millinery is capitalizing on it (see what we did there?). 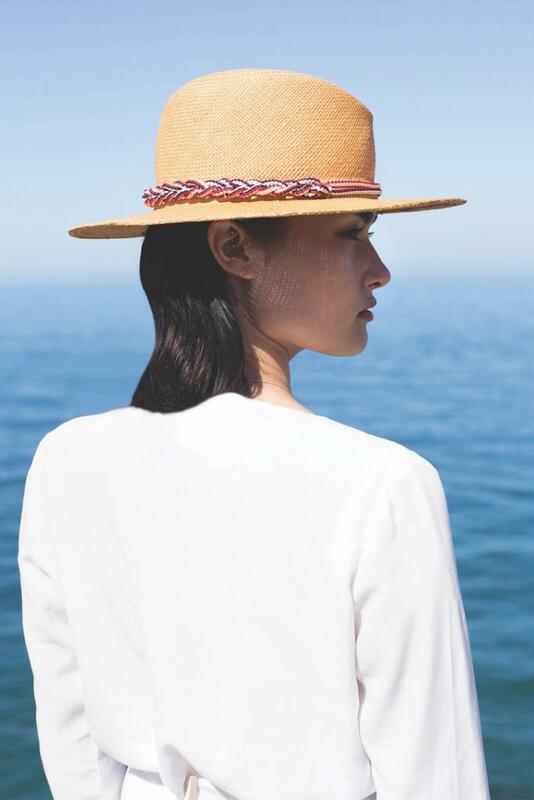 The designer opened her DTLA operation in 2012 after being inspired by hat makers in Spain. Handmade seasonal collections are her main squeeze, but she also offers a bespoke service that gives clients more creative control. Her most recent hat trick: designing the pink topper Lady Gaga wore on the cover of her latest album. When famously fussy hotelier Ty Warner gave the Four Seasons Biltmore in Montecito a face-lift, he brought in Diana Mausser to replicate the colors and patterns of the property’s existing 1920s Gladding McBean tiles. As founder of Torrance’s Native Tile and Ceramics, Mausser is an expert on California’s historic tiles in the Craftsman, Spanish, and Moorish styles; in fact, it’s her much-photographed sign that marks the site of the Adamson House off PCH in Malibu. Want the look for your own place? Mausser’s pieces can be purchased through various L.A. showrooms and by appointment at her studio. For modern styles that are comfortable without skewing into vaguely orthopedic—not an easy feat—pay a visit to Brentwood’s Habit Footwear + Accessories. Metallic slingbacks from Unity.In.Diversity go with everything, and Birkenstock-inspired slip-ons by Kanna keep you on trend. If the lines the shop carries are off your radar, it’s because owner Anne Helpern seeks out little-known brands to keep prices moderate. Just about all sandals ring in under $200, and many are far less. The first rule of buying birdhouses is, don’t buy ones with perches: Predators use them to get closer to their prey. This is the kind of pro tip you’ll get from ornithology whiz Scott Logan, owner of the inviting bird-supply boutique Wild Wings (not to be confused with the chicken-wing empire). Rustic, shoebox- size abodes start at $25, while $68 buys larger digs designed for such species as Western screech owls. Be sure to say hello to the shop’s resident macaw, Tinkerbell, as you scan the store’s other offerings, from attractive feeders to nesting supplies. Occupying the corner of a Silver Lake strip mall, the Los Angeles County Store is a trove of original work from artists for whom the city is a muse. Printed maps of L.A. neighborhoods and tea towels showcasing the Watts Towers are on display, and the boutique’s Fine Art Series hosts exhibitions featuring the creations of local makers (which are buyable after the fact). You can even purchase illustrated L.A.- themed wrapping paper—because go big or go home, you know? From black tie-ready updos to Coachella casj, braids are holding onto their best-tressed status. Nine Zero One Salon paved the way with its iconic Braid Bar, but Hairroin Salon in Hollywood goes next level. The staff can deftly twist, twirl, and tie your locks into a low-key Heidi-style headband; they’re also skilled in more ornate nests of false hairpieces, temporary tints, and jewels (bring your own gems, or let the salon find some for you). The best part? You can sleep on most looks and still be good to go the next day. Belts and their buckles are as much a wearable investment as they are a smart way to keep your pants up. You could pop for a name-brand status symbol like Gucci’s interlocking G style, but if it’s individuality you’re after, Samantha Grisdale is your girl. 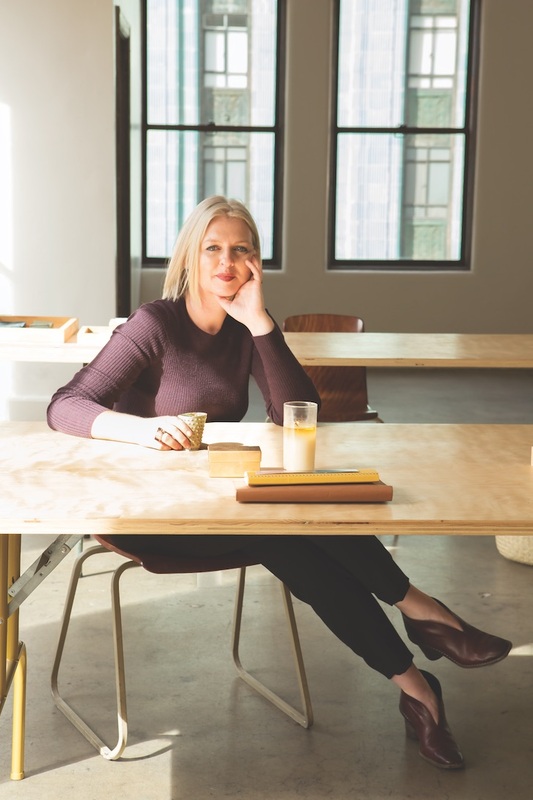 The Echo Park-based designer and former high-end jewelry maker found her niche working with budget-friendly metals and leather; she acquires and manufactures everything locally, enlisting a foundry to do her bronze casting. Many of Grisdale’s buckles reflect a minimalist Japonism, with serpent, moth, and ginkgo plant shapes—see them at her studio (by appointment only) or in shops like Hollywood’s Lost &amp; Found or Lake Boutique in Silver Lake. Kit Kraft is the ultimate remedy for idle hands, offering a large selection of DIY crafts. Stop into the Studio City store for model cars, airplanes, and rockets as well as dollhouse materials with all of the trimmings, including miniature furniture and home accessories. Thousands of jewelry-making items—clasps and beads and hooks and ribbons—will keep little ones busy for hours. There are fine-art supplies, too, such as acrylic and watercolor paints, sculpting clay, and canvases. Those who covet flawless red lips or fierce French tips but lack the skill to pull them off will appreciate GlamSquad, a service that delivers experts in hair, makeup, and manis to your door. Punch your address into the app or Web site, and in 90-ish minutes your crew will arrive. It’s tough to beat the comfort (and joy) of sitting in your robe with coffee in hand while someone else wields the blow-dryer or liquid liner. Plus it’s affordable: Prices start at $35 for a manicure, $50 for a blowout, and $75 for makeup. Fashion trucks can be found rolling up and down the city’s streets (you’ve probably seen L.A.’s first mobile boutique, the pink Le Fashion Truck, cruising the freeway). Silver Lake’s Buck Mason has jumped on the bandwagon, selling its no-frills line of men’s tees, chinos, jeans, and button-downs from a repurposed ’97 GMC school bus dubbed The Open Road. Like food trucks, this puppy roams—its whitewashed whereabouts are announced on the company’s Web site, or you can search #buckopenroad on Instagram. Vases are expensive. So is food. You need only look at a millennial’s Snap story to see which they’re more willing to spend money on (food). 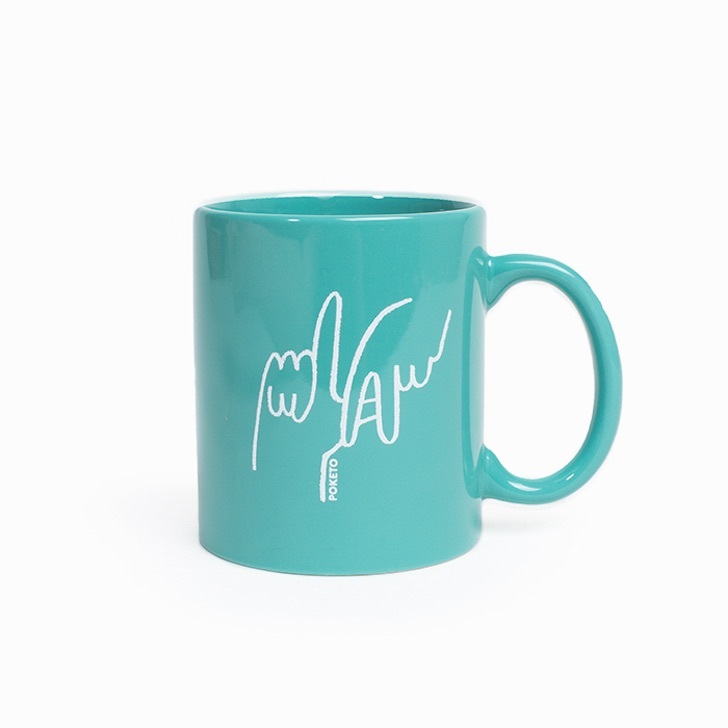 Help rid their apartment of dorm room decor with the youthful, modern accessories from Poketo, whose goods have the right mix of zeitgeisty winks (“L.A.” finger-sign mugs) and general irreverence (movie marquee-inspired light boxes). Should your pal’s furniture need an overhaul—and if you’re feeling particularly generous—streamlined bookshelves and woven leather chairs are a step up from IKEA staples. Dry cleaning is a tricky mistress: Sometimes it saves your garments; other times it makes matters worse. French Hand Laundry analyzes and tests items and their dyes individually, then soaks them in softened water using pure soaps. The machinery is run according to the textile rather than every frock, top, and pair of pants being fed through the same system, which ensures gentle treatment. (Ask about the “heirlooming” service for cleaning and boxing precious goods.) Founded in 1913, the Pasadena launderer has earned a national rep—it even handles clothing for museums and Hollywood wardrobe houses. We respect REI, but Adventure 16 is like an atelier for campers, hikers, and rock climbers. The Westside store caters to the recreationalist and the weekend explorer, stocking specific supplies for short-but- sweet trips (waterproof luggage, kitchen wares, try-it- before-you- buy-it rental gear). An army of knowledgeable, friendly staffers is on hand to address the questions of novices and hard-core outdoors folk; there are also lectures, like “Lightweight Backpacking for Couples,” and a speaker series where seasoned guides share their own expedition experiences. Check the online calendar, as events take place at different locations. If “clean living” more accurately describes your core aesthetic than your meal choices, get yourself to Garde. With an inventory of hemp rugs, yak-wool throws, and meditation cushions in muted neutral shades, the store is a visual representation of the understated lifestyle. Hand-carved walnut serving platters and blown-glass wine decanters are sleek and elegant, and many of the sophisticated objects are made of natural, ethically sourced materials. Sunset Boulevard (the musical!) gave Murphy beds a bad rep, but they’re actually pretty practical. The concept gets an upgrade at Resource Furniture, where lacquered desktops fold (or bookcases rotate) to magically reveal a bed. Most everything is made to order in Italy, so delivery can take weeks, but there’s a small inventory of prefabricated pieces. Fair warning: Like going grocery shopping while hungry, passing up other ingenious furnishings will be a struggle. Angelenos who prefer to wear their city pride on their sleeve—or advertise it on their couch or nail it to a wall—will find all of the nontouristy hometown goods they can handle at The Golden State. Throw pillows printed with photos of iconic Joshua and palm trees are drenched with the romantic, washed-out vibes of an Instagram filter, while votive candles embellished with images of Malibu’s beaches and Big Sur’s vistas will remind you of California’s awesomeness on the daily. Pay homage to your town or city with hangable felt pendants promoting Venice or Los Alamos or the City of Angels. A well-curated mishmash of jewelry, totes, and decor is also available. Finding the perfect pair of lived-in dungarees is almost as hard as finding legal street parking. If you’re hesitant to say good-bye to yours, take it to Foxhole in Silver Lake. The shop is dedicated to reviving near-the- end-of- its-life denim, be it pants, shirts, or jackets. Garments are restored with the use of patches, embroidery, creative stitching, and decorative safety pins. It even offers a service for pieces that are too far gone, giving them a second life as vests, dresses, shorts, throw pillows, and dog beds. An import license allows Pasadena’s Ajna Living to work directly with overseas manufacturers, which means you get high-quality wares at a fraction of the cost of, say, nearby Fishbecks. Weatherproof sectional sofas, loungers, armchairs, and ottomans are made from a resin-rattan weave and topped with Sunbrella-upholstered cushions; vibrant all-weather striped pillows add color and personality. That cream-colored fedora seemed like such a great idea when you bought it. Then came the smudges. At he back of Schaeffers Garment Hotel is Gunner Foxx’s House of Hats, where third-generation haberdasher Gunner Foxx provides cleaning services as well as repairs and alterations (blocking, stretching, reshaping, resizing, and band replacement). He also fashions hats using shaping techniques learned from his grandfather; several of the designs have caught the eye of high-profile clientele (like Harry Styles). Everything is handmade, meaning no two creations are alike—a draw if ever we’ve heard one. Few sounds are as unmistakable (and disappointing) as that of tearing silk. Gucci, Prada, and Tom Ford send their clients in need of a fix to Marc Hart Tailors, where owner Aram Ninoyan has overseen simple hemming and major mending for the past 40 years. The service doesn’t come cheap—men’s jackets start at $250; women’s, at $150—but your most delicate goods will come back like new. A yard is a luxury in this apartment town, so if you’ve got it, flaunt it with something beyond horticultural displays. Dress up yours with accoutrements from Ilan Dei Venice, which has been designing and fabricating alfresco furnishings for 25 years. Hanging love seats in shades of marigold and blue enliven outdoor nooks, geometric planters offer a pop of greenery, and weathered steel or concrete fire pits keep you toasty long after the sun goes down. Those who see accessories as a way to express their personal style will appreciate the selection of towels at The House of Woo. Sisters of Los Angeles may have city-inspired towels on lock, but Staci Woo’s Sand And Sea Club line skews beach chic: Rectangular embroidered blanket-size styles come in bright patterns, while shibori and tie-dyed cotton velour “full moon” towels stand out thanks to their circular shape. Many of Woo’s designs have a hole to accommodate an umbrella, which is the kind of thoughtful detail that will have you tossing out your current terry. Flower farms—where blossoms are cut and sold on-site—have disappeared from L.A. But at Rose Lane Farms, a nursery owned and operated by master gardener Lynne Vinkovic, you’ll find close to an acre of roses in constant bloom. She grows more than 150 varieties, which start at $18 for a dozen; the gates are open on Saturdays from 5:30 a.m. to 10:30 a.m. and by appointment. 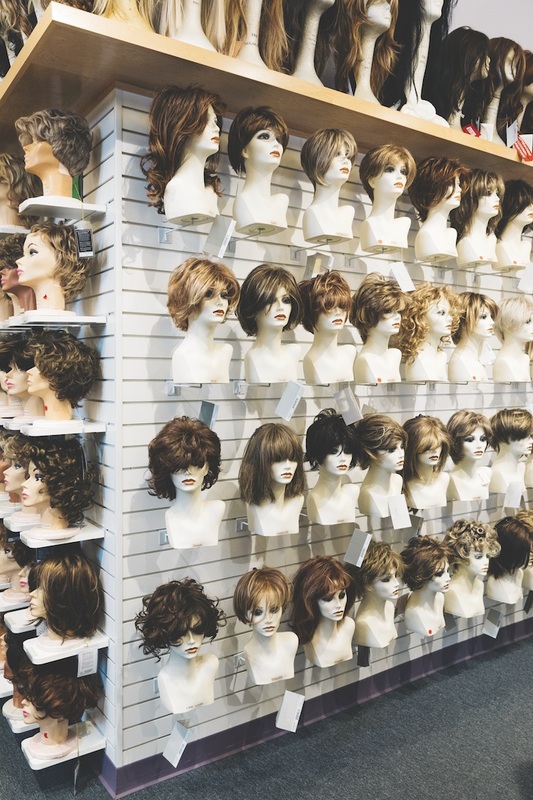 Tucked between prop houses and an acting studio on a side street in North Hollywood is Wilshire Wigs, a half-century- old shop trading in tens of thousands of synthetic and natural coiffures. Stylists and “ventilators”—people who sew wigs—help customers meet specific needs, be it hair replacement, cosplay, or costuming. They’ll even tend to repairs or give your current style an update (like highlights). The place is also a wardrobe stylist’s utopia: It supplied dos for The Walking Dead, Titanic, and Dreamgirls. Prices run from $50 to $8,000, depending on the materials used and labor involved. Jewelry designer Kathleen Whitaker lives in Echo Park and crafts all of her pieces downtown (though you can find her line in cities as far-flung as London). Her aesthetic is angular, geometric, and a little bit architectural—but always accessible. “I wanted to use precious metals, like 14-karat gold, and that drove me to small designs,” she says. “I make everyday things that are easy to wear—you can sleep in them and shower in them and go swimming in them.” Shop locally at Mohawk General Store. Oceanic Arts owners Bob Van Oosting And LeRoy Schmaltz have been carving wood masks and importing tropical decor since 1956 (their wares are the gold standard for your future Polynesian- themed bar).